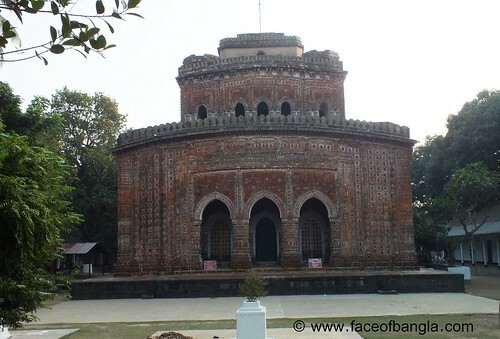 Dinajpur is one of the most old and historically rich district in Bangladesh. 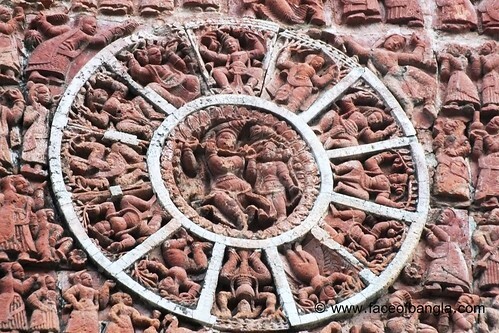 Kantaji temple is such an evidence of history. 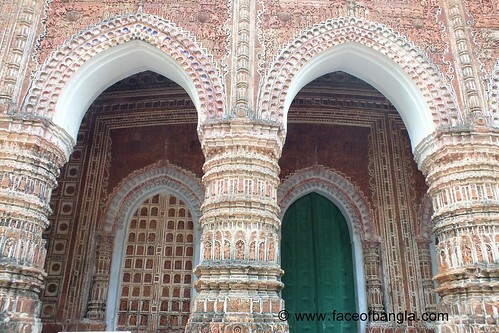 This temple is 11 miles south to the Dinajpur town and situated in the Kaharole Upazilla of Dinajpur district. 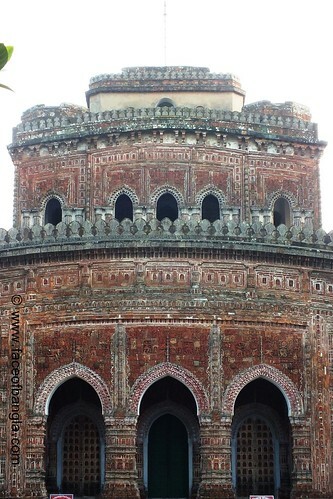 Maharaja Pran Nath built this temple in 1704-1752 A.D. 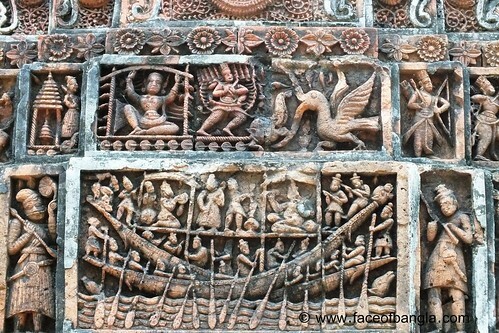 This temple is called Nava-ratna. 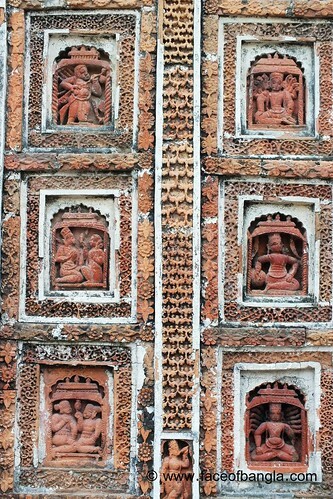 The roof of the ground floor and first floor each contains four sikharas or ratnas at their corners while the roof of second floor in its middle contains the ruins of the central sikhara. 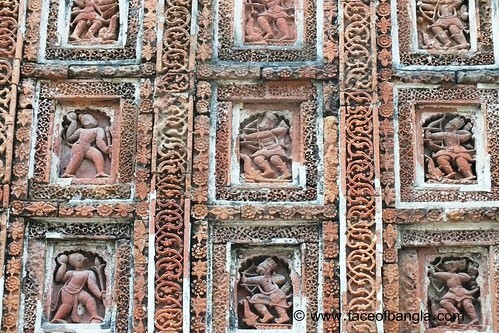 The entire outer surface of the temple is exquisitely established with terracotta plaques which depict flora and fauna, geometric motifs, mythological scenes from the Ramayana and the Mahabharata, and the contemporary social scenes and favorite pastime. 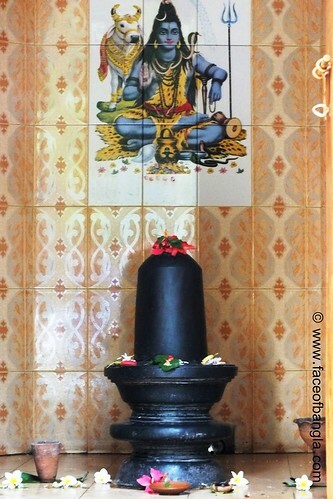 The idol of Kantaji is kept in the garvagriha of the temple in its ground floor. 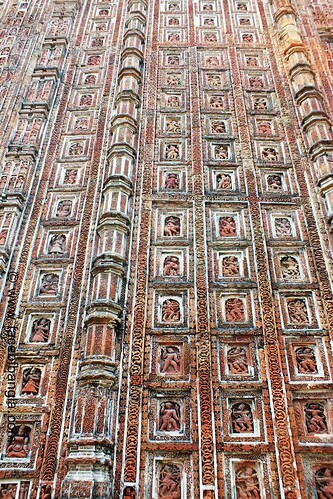 once this temple had nine spires, but all were destroyed in an earthquake that took place in 1897. 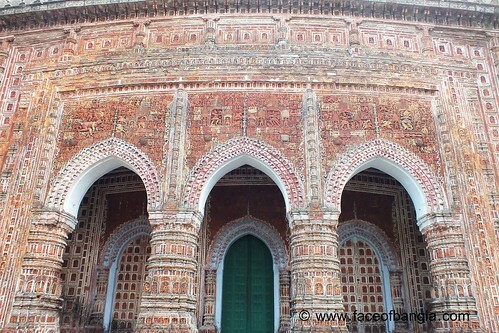 The temple is about a 1 mile west of Dinajpur-Thakurgaon Highway across the Dhepa River. 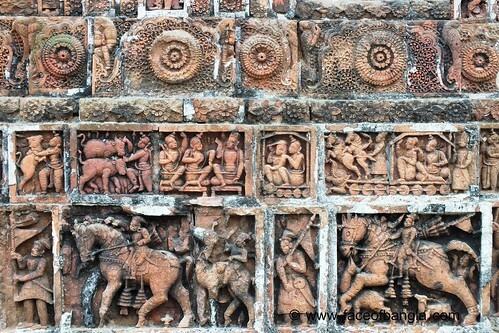 Bus, Motor byke and Rickshaw Van can get you there within hours from the Town. You have to get off the bus at the Place called 'Kantanagar. Then You have to cross the meagre Dhepa River by walk.